Rani Mukerji had once again proved with Hichki that she still remains one of the most promising actors in Bollywood. The actress was snapped at the Mumbai airport on August 6, 2018. Rani looked stunning in an all-black outfit and paired it with a white jacket and completed her look with a pair of sunglasses and sneakers. 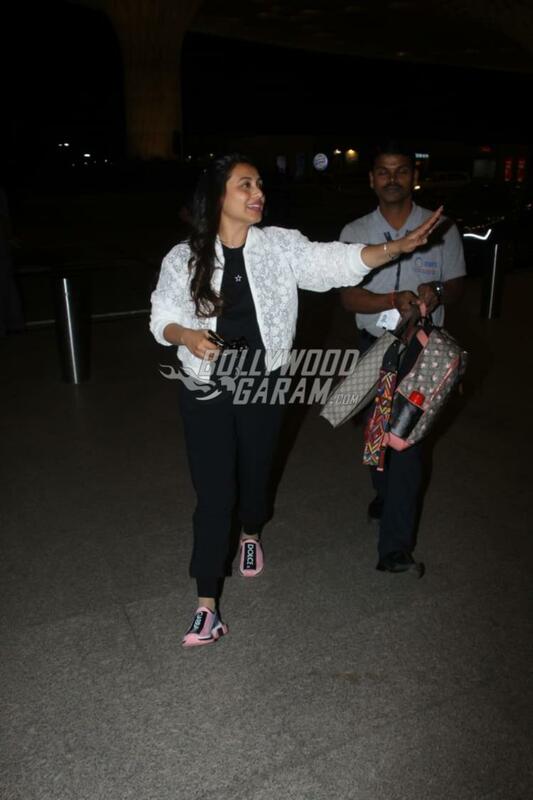 The Aiyyaa actress was all smiles for the cameras as she made her way at the airport. Rani returned to films with the film Hichki after the birth of her daughter Aadira with husband Aditya Chopra. The film was well appreciated by the audience as well as the critics and also did well at the box office. Rani in a recent interview revealed that she is under the process of finalizing her next flick. The actress played the role of a teacher who suffered from the condition known as Tourette Syndrome and how she struggled to deal with the students of 9F class in a reputed school. 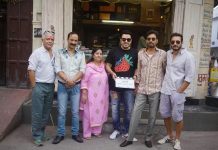 The film was directed by Siddharth P Malhotra and was released in theatres on March 23, 2018.